Junior is a 14 yr 15.3 h connemara/tb cross that I have owned since he was 3yrs old. He is the definition of a horse that has been there and done that! Dressage through 2nd level, 3'3 jumpers, evented to training level, foxhunted (although not for the faint of heart), trail ridden everywhere and paper chased all over the north east. He is extremely well trained and is an excellent horse to either learn on or sharpen your skills. Although he has been a husband horse, he isn't necessarily for beginner riders. He is a sensitive horse who appreciates a rider with soft hands and a quiet seat. He isn't hot but his advanced training means that he will do exactly what you ask which can be good or bad depending on what you are asking. This horse is extremely honest over fences and can take a joke so if you are looking to improve your jumping skills he is perfect for the job. He is excellent at dressage and is very comfortable to ride. He is fun and safe to ride. He LOVES to work and loves having a job. He is a true character both in the barn and undersaddle. He makes you look forward to coming to the barn. He is sound with a bone spur in his knee which I do maintain with 2x a year injections and monthly adequan (at my cost). 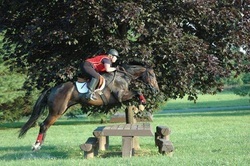 He needs to stay at Novice level eventing or below as I would like him to last a very long time. He believes he should be able to jump 4ft daily but it is my job to preserve him and I would only lease him to someone who would respect my wishes. *Must stay on my farm located in Camden, Delaware! 100x200 lighted riding ring and small ring to use. Opportunity to join for trail rides and other activities. 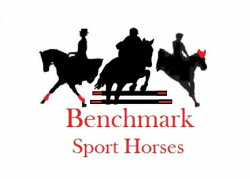 Experience all the benefits of owning a horse without the purchase price!